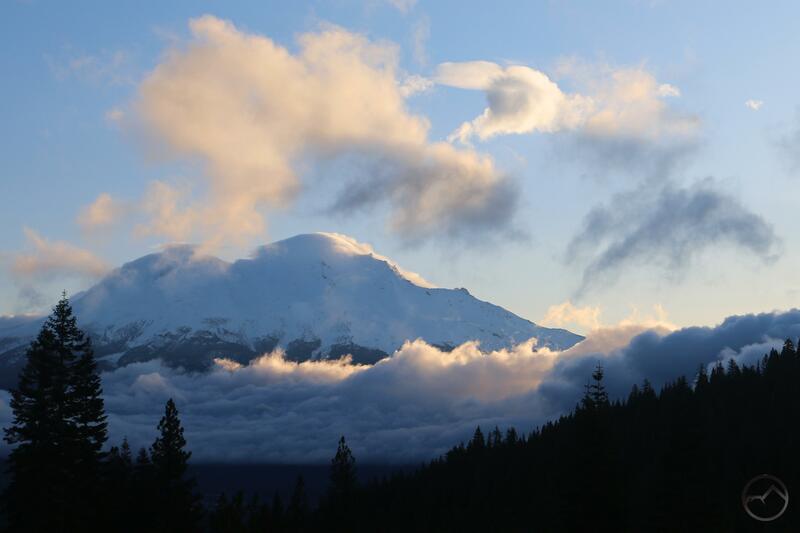 A spectacular spring sunrise on Mount Shasta. After the long winter, spring is finally upon us. Warmer weather is taking hold, the snow is melting, trees are coming back to life and flowers are beginning to emerge. This is the time to head out and enjoy the great bounty that the Mount Shasta area holds for hikers looking to stretch their legs, enjoy the natural world and feel the warm sunshine once again. Though the winter threatened to be a bad one in terms of snow, March came through and delivered a fair amount of precipitation, including a few feet of snow at the lower elevations. This means that the high country trails are still inaccessible, for the most part, though they should largely open up earlier than usual (or at least much earlier than last year!). In the mean time, we have a host of great trails in the low lands that are prime hiking areas. The best spots to explore this time of year are along the McCloud River and in the Castle Crags. Despite the lower elevation, they still offer great mountain experiences. The high desert of the Shasta Valley is another great place to explore right now. Of course, all the other areas usually considered good winter destinations are also fantastic places to hike right now. Summer may be coming but the time to get out and hit the trail is now! The area around Orr Lake is a mix of high desert and ponderosa pine forest, surrounding a large, lush meadow fed by remote Butte Creek. It’s higher in elevation than the high desert of the Shasta Valley, which means it is often not a good place to go in winter. However, in spring, it is ideal. The lake is full, the creek is running strong and Mount Shasta, visible beyond the lake, is white. Other than portions of the trail being closed at times for nesting birds, it is a great place to get outside in the months before summer. Read more here. The Lake Siskiyou Trail is an incredible recreational resource just a couple minutes outside of Mount Shasta City. During the summer and fall, a loop trail encircles the lake. However, in winter the seasonal bridges over the Sacramento River are removed. While the loop can’t be hiked without fording the river (extremely dangerous after storms and during high runoff), several sections of the trail still make great out and back hikes. They feature beautiful forests, the lake itself and incredible views. Due to the relatively light winter, the bridges should be places over the Sacramento sooner rather than later this year. Read more here.